This particular malspam campaign has spoofed senders, no message text, and no subject. The emails only contain an attached .zip archive. NOTE: These domains were hosted on Amazon Web Services (AWS) and their IP addresses were not static. Shown above: Example of different AWS IP addresses for the same malicious domain. 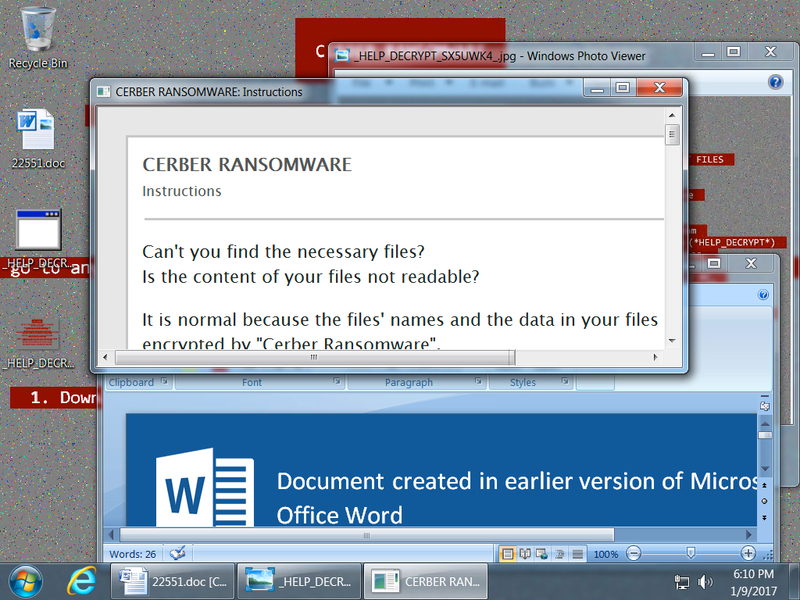 Shown above: An infected Windows desktop after opening one of the Word documents and enabling macros.